You can have some fun with this recipe by turning it into Popcorn Pops by inserting wooden pop sticks into the bottom. 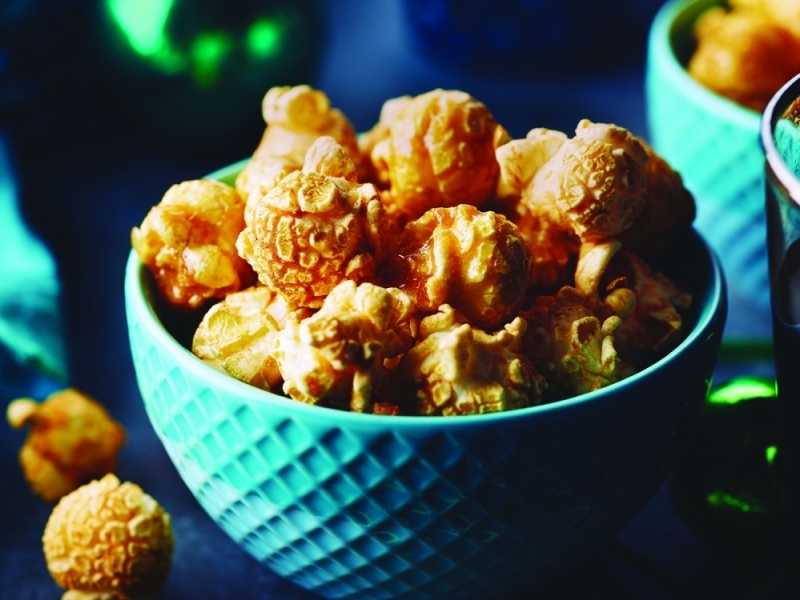 (NC) This recipe takes snacking favourite popcorn and infuses it with some great flavours. Toss popcorn, cranberries, and pecans in large heatproof bowl; sprinkle with salt. Melt butter in large microwave-safe bowl on high for about 40 seconds. Stir in marshmallows; microwave on high for 1 minute and 15 seconds, stopping once halfway through to stir. Stir until mixture is melted and smooth. Pour marshmallow mixture over popcorn mixture, folding with rubber spatula until well-combined. Let cool enough to handle. Oil hands; form mixture into 15 evenly-sized balls, pressing firmly.